Installing water heaters has, for many decades, meant hauling giant tanks around and setting them up in people’s homes. But, increasingly, it’s becoming light work. Rather than the traditional tanks of hot water, there are now energy efficient water heaters that heat water as you need it. This is an advantage on many levels, although there are a couple drawbacks which we can discuss, too. One reason the tankless water heaters are becoming so popular is they are much more energy efficient. Saving energy means… you guessed it, saving money. When you are at work or sleeping, do you really want to be using energy to heat an enormous tank of water? The beauty of the new tankless systems is they only heat water when it’s needed, making them around 50% more efficient. One downside in the money category, though, is the upfront cost of the tankless is a bit more than the traditional water heaters. If you plan on living in your house for a while, this cost should be recouped with all the utility savings. Another major selling point of the tankless water heaters is just how long one will last. Sure, there is a bit more of an upfront cost, but the unit will last twice as long! Tankless systems usually last 20 years while the traditional ones are nearing their end after just 10 years. Having the giant tank isn’t just a negative because of the cost of heating all the water inside, there are also other issues associated with them. Minerals build up over time inside the tanks, which make the water dirtier when leaving than when it entered. In fact, a common sign of a dying water heater is orange, rusty-looking water. Not only that, but the tanks have complex pressure relief valves that have to be monitored and serviced often. You don’t want to know what happens if your water heater isn’t able to relieve pressure in the tank, but it’s not good. Hint: boom. This may not seem like as big of a consideration, but in many living spaces, every square foot counts. If you can avoid it, you don’t want to have an entire closet filled with a giant tank when it could be used to hang up clothes or store boxes of your useless junk – I mean, treasures. The job of a water heater, though, is to heat water. So, you may be interested in how these tankless systems perform comparatively. For the most part, they both get the job done, but there are differences. The giant tank of water does come in handy if you have triplets who get home from basketball at the same time and want to wash their jerseys while all taking showers in different bathrooms. But, if you’re not going to be using that much water simultaneously, the tankless water heater can heat up enough to satisfy most families. Regardless, these new tankless water heaters seem to be here to stay. They’re more energy efficient, use less space, are safer and cleaner, and they last twice as long. That’s why, these days, installing water heaters really is becoming a tankless job. Is a Hybrid Water Heater Right for You? 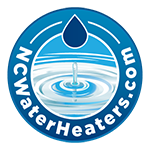 No Replies to "These Days, This Business Is Often a Tankless Job"
NCWaterHeaters.com provides complete water heater services in Raleigh, Durham, Chapel Hill, Wake Forest, Cary, Garner, Clayton, Apex, Fuquay-Varina, Holly Springs and beyond including the counties of Wake, Harnett, and Johnston. 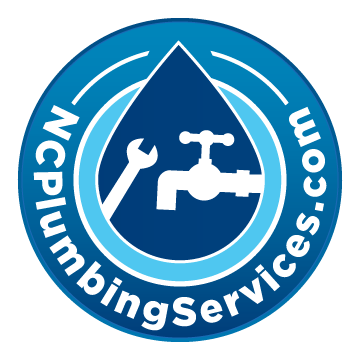 At NCWaterHeaters.com our trusted team is available 24/7 to handle all your emergency plumbing and water heater needs. Call for reliable, respectful service at prices that won’t break your budget.